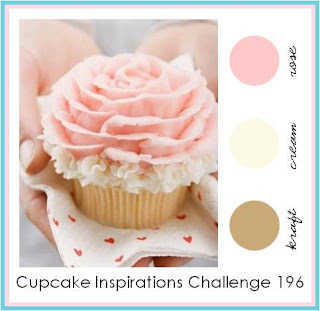 Today at SweetStamps, we have a new challenge for you this week. I personally love pink, then again, what girl doesn't ...right?!?!?! I used Queen Anne's Wildflower Silhouette and colored it with Sugar Spun, Victorian Velvet and Worn Lipstick Distress Markers. Stamped and cut out with my Spellbinders oval. I then inked the edge with worn lipstick distress ink. Took Stardust and applied it along the edges and on the flowers. The other layers were also cut with my Spellbinders. I finished the card with some seam binding and pink pearls. Beautiful card! I always love when people do a shaped card as I love them, but never make them. Gorgeous! I love the sparkle & pearl accents you added and the shape is very pretty and feminine! Very pretty shades of pink and sparkly too!!! This is absolutely stunning! Love the little shimmer and pearls! Again--stunning! I am so glad you joined us Cupcake Inspirations! Hope to see more of your fabulous work! 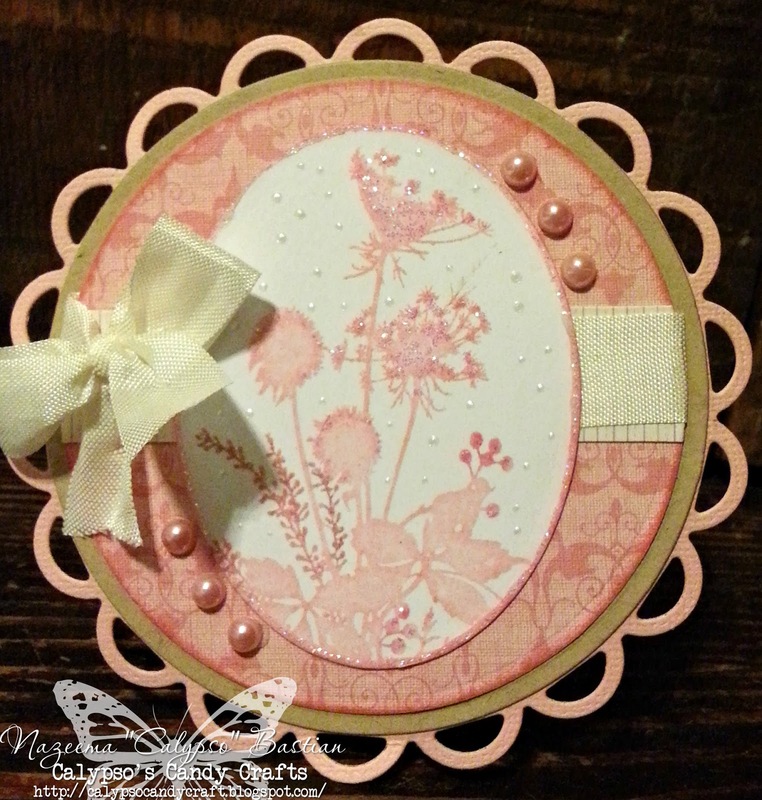 Love the shape and the soft colors you used for your card. Love the ribbon and the little pearl effects you added to the flowers. Beautiful!! Just fabulous! Love the image with the shimmer. The layout is so pretty- and love the bow too. Love the stardust effect, very pretty! Stunning, what a beautiful design! Love the glitter! I love this shape! I keep wanting to make a circle card, maybe I'll try one! Many thanks for joining in with our 'Not Square' challenge over at OSAAT & hope to see you back again soon. This is so pretty! Such lovely colours and that stamped image is just gorgeous. Great shaped card too.. the whole thing is just so delicate and feminine.